A better way to entend your reach.eVerge™Expanding your reach has never been easier than now with EVX-Link. Compact, Full-Featured Performance Mobile Radios for Maximum ValueWith 50 W VHF and 45 W UHF power output for effective communications transmission, the VX-2100/2200 Mobile Analog Radio Series provides reliability, extensive signaling features and enhanced channel capacity for maximum return on your investment. Evolve to Better Communication and Value with eVerge™Portable Digital Radios You can afford to enhance your portable digital radio communications with the digital performance of eVerge two-way radios. Available in rack or desk mounted versions, Repeater/Base stations help to expand the communication range and also enable convenient, easy fleet communications and service reliability. -FT897: Rugged, innovative, multiband, multimode portable transceiver for the amateur radio MF/HF/VHF/UHF bands. The products we offer are in constant use in public safety and private sectors such as Security firms, Policing, Fire Protection, Medical Services, Transport and Construction companies to name a few. We have a commitment by our suppliers to keep on the cutting edge of radio technology to ensure suppliers and end user alike of the very latest advances in the radios they purchase. Verstay was further awarded the sole African distribution for the quality Midian range of encryption and tone encode decode boards for use in all major radio brands such as Vertex Standard, Icom, Motorola and Kenwood radios to name a few. Midian boasts the highest level of rolling code encryption boards available on the market. When confidential conversation is important to your business, then Midian is the product for your organisation. 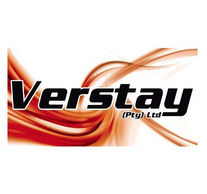 Verstay was established to offer a comprehensive range of quality products and services to the telecommunication industry at large. We recognized the need for a company that would focus its energies on the supply to dealers and end users alike with a cost effective range of products without compromising on quality, reliability or back up service. Since 1956, Vertex Standard has been a world leading provider of professional, affordable two-way radio solutions that enhance business productivity and public safety across a broad spectrum of industries. Vertex Standard now forms part of Motorola Solutions, which is exclusively focused in offering a broad portfolio of analogue and digital two-way radios with the reassurance of extensive after-sales service and support – for total customer satisfaction. The Yaesu brand is well known among ham radio aficionados and is synonymous with premium quality ham radios. From stationary multi-feature communications equipment to portable devices, YAESU has consistently represented the best in communications equipment to the world’s top DX’ers for over half a century.